VMT GmbH, a survey technology company, was founded in 1994 to supply a wide range of custom solutions, services, and surveying systems to the tunneling industry. 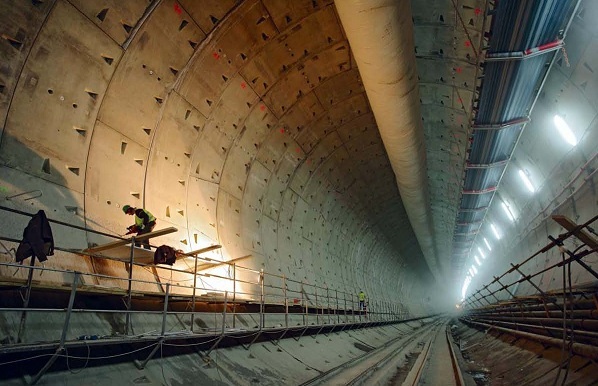 Headquartered in Germany, VMT undertakes tunneling projects all over the world, including current projects in the UK, China, Hong Kong, and Australia. 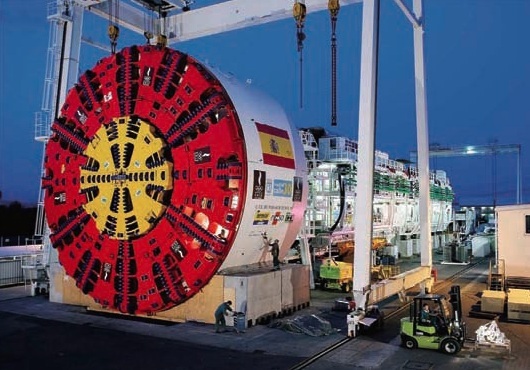 One of their major products that is used worldwide is a specific system that guides tunnel boring machines in segment-lined and pipe-jacked tunnels. When manufacturing large size concrete segments to be used for tunnel linings, precisely assembled steel moulds with stringent quality control measures are employed to ensure correct fabrication of the concrete segments. Increasingly narrow tolerances are required for segment dimensional accuracy; so a reliable, efficient measuring method is essential to determine the linear dimensions and angular properties of the moulds. Due to the fact that measurements are needed during the early stages of the fabrication process and usually take place at the mould supplier’s plant, the project requires portable metrology equipment and corresponding metrology software. VMT uses SpatialAnalyzer® (SA) with Laser interferometer systems to measure both moulds and segments. SA is used not only to drive the laser continued from page 1 trackers, but to process the measurements, compare them to the original CAD models, and to use SA’s spatial transformation capability for optimum fit analysis (SA’s Best Fit and Bundling capabilities). Using 3D models allows for the detection of defaults that would have gone unnoticed during a mechanical inspection. This method also allows VMT to take multiple measurements and analyze them quickly enough to meet the requirements of a high speed quality control and quality assurance process. If needed, maintenance/refinement of moulds’ mechanical and geometric properties. 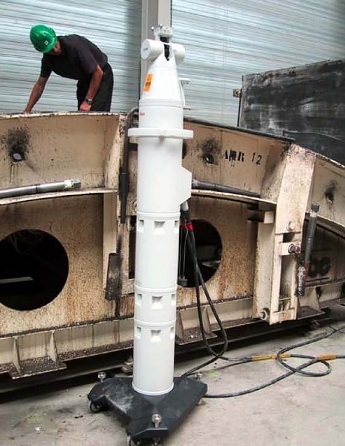 This process differs from previous fabrication management in that it allows for more attention and analysis of the geometric properties of the moulds and segments; not merely their mechanical integrity. Not only can VMT rapidly perform these measurements, but this type of quality control also allows VMT to react more flexibly to potential problems and more proactively prevent defects. Instead of identifying defects after a segment has been transported to the tunnel, VMT saves time and resources by identifying any problems before the segment leaves the fabrication plant.